That’s what some of our grandchildren have asked. And I guess it’s a justified question since were always heading to the airport. We just boarded another plan for Israel for a pilgrimage that we are leading in conjunction with Franciscan University of Steubenville with the president of the university, Fr. Sean Sheridan as the chaplain. Seven more pilgrimages still this year! In July I will be locked away in my house — with my wife as my jail-keeper — so that I can finish up my new book on Genesis which will be published by Ignatius Press hopefully in 2019. I really enjoyed writing this book and we’re just working on the final edits. 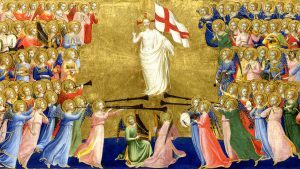 Barry wrote in my combox today – in response to my post entitled “Where Does the Bible Say We Should Pray to Dead Saints?” – Resources about Communion of the Saints I thought I would respond briefly. 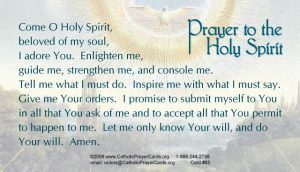 Barrry wrote: Would you please read the Lord’s prayer. Jesus prayed it. He was giving an example of how to pray. He didn’t pray to Peter, Paul, Mary, or John-who took care of Jesus’s mother and wrote Revelation. No, He prayed to His Father. This is Jesus Himself praying, should we not follow Him, as He asked Peter and His disciples to follow Him. This reference in 350AD is close to 270 years or more after the disciples died. The disciples who wrote the gospel. Do their words of what Christ told them mean nothing? FIRST, thanks for writing Barry and God bless you. You start out with a seeming tone of condescension. Of course, I have read the Lord’s Prayer, in fact, I have it memorized :-) By the way, we Catholics refer to John 17 as the Lords’ Prayer. 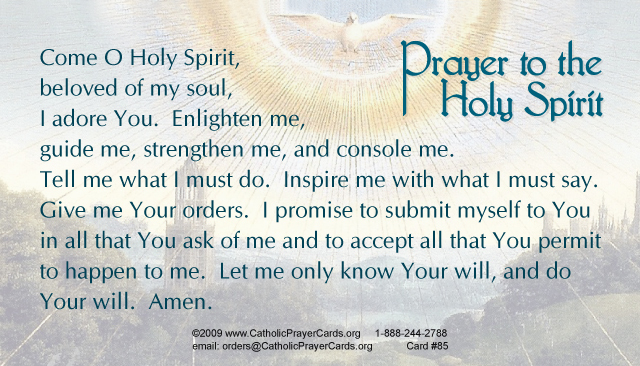 What you call the Lords’ Prayer we usually refer to as the Our Father. 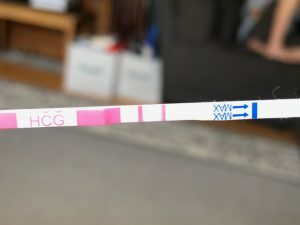 SECOND, is it ONLY to the Father that we should pray? Is Jesus’ example restricting us from “praying” to anyone else? This seems to be your implication. However, should we also pray to Jesus? Is that allowed? And what about the Holy Spirit? Should we pray to him or is that disallowed? According to your statements above we should not pray to Jesus and the Holy Spirit! If you say we are allowed (and should) pray to the Holy Spirit you may be interested to know that nowhere in Scripture are we told to do that nor do we have an example of someone who does. Yes, most Christians would agree we should pray to Jesus and the Holy Spirit as well as to the Father. THIRD, The words pray and worship are two different words with different meanings. Pray Is to ask for something, it means a petition or a request. Worship means to do just that, worship and adore. Worship is something reserved for the Trinity alone. Protestants tend to see pray and worship as synonyms which is one reason they often react so negatively to the reality of the intercession of the saints. When we pray to Saint it is not worshiping them. It is asking them to intercede WITH us as we pray to God himself. God is the only one who can answer prayers. FIFTH, we are commanded to pray for each other and to ask others to pray for us. We believe the church is one organic body not split up and divided. Those in heaven are part of the body of Christ like we are. We ask them to intercede for us just like I could ask you to intercede for me. Even though right now I can’t see you or talk to you personally I can use technology to do it to ask you to intercede for me. I don’t know how spiritual technology works but I certainly trust the Scriptures and the Church. The Saints are very much alive in the presence of God and they are concerned about what’s going on down on earth (consider Moses at the Transfiguration in Luke 9:30-31). 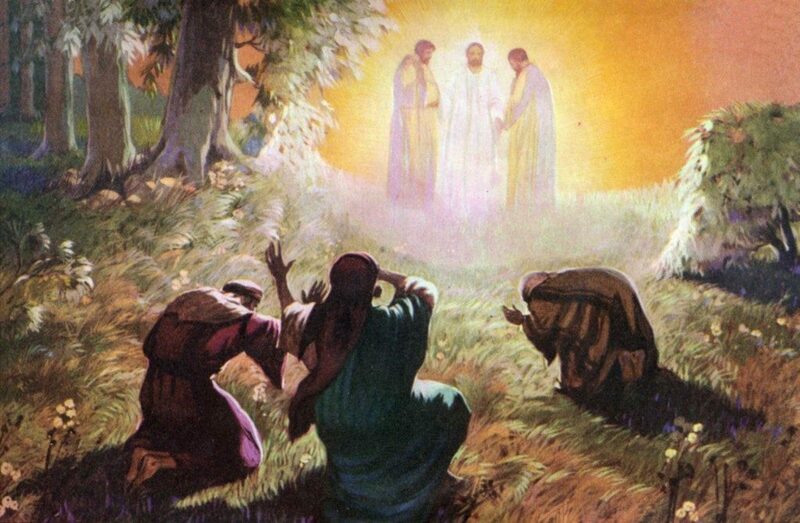 The Saints in the presence of God in heaven can easily request of God benefits on our behalf. SIXTH, Believers have been asking for the prayers of the Saints since the beginning. All one has to do is look at the graffiti left in the catacombs to see where they said from the first centuries “Peter and Paul pray for us”. In the catacombs of St. Sebastian there’s one segment of wall covering the former tombs of Sts. Peter and Paul. There are 614 requests for intersession scratched into the wall from the very first Christians. They were (praying=asking) for the intercession of these two great martyrs and saints. This is just scratching the surface. There is so much more to say but if you’re interested you’ll find the sources. If you’re not then I feel sorry for you. 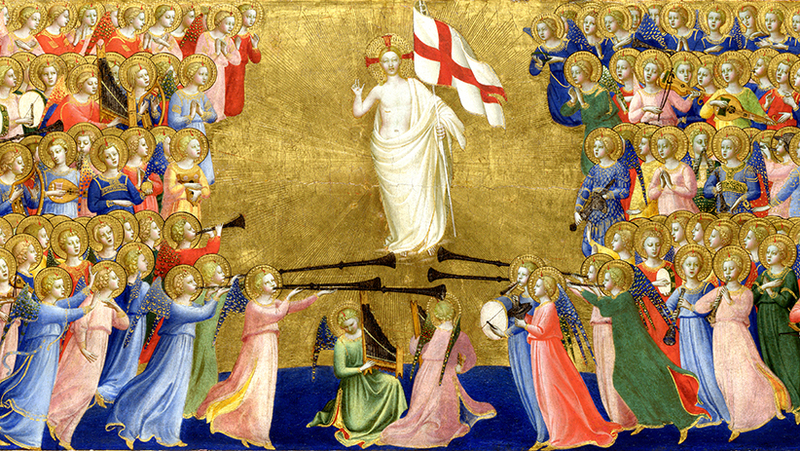 I am so happy that back in my former years as a Protest-ant it was just “Me and Jesus” but now the heavens have opened and I realize I am part of something much bigger, the Mystical Body of Christ with the Communion of the Saints. Blessed be God forever. 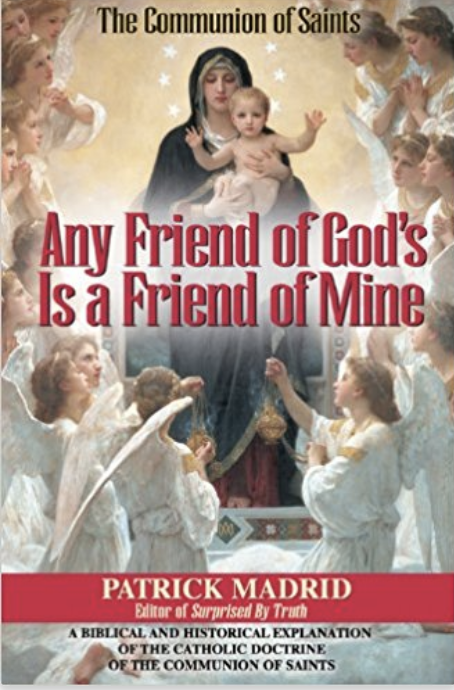 I recommend Patrick Madrid’s book Any Friend of God’s is a Friend of Mine.